"What is the best tool to edit PDF files? How can I edit PDF on Mac without Preview? When it comes to edit PDF, we all want the texts in PDF flexible. However, there are few PDF editing tools can fully control on the PDF, especially edit PDF in Preview or edit PDF online. And edit PDF with Adobe is too expensive. No worry! Here we show you the effective and cheaper way to edit PDF on Mac (macOS Mojave included). Read on and learn the easy guide to edit PDF on Mac or Windows PC with PDFelement Pro, making you a full control on your PDF files. If you want to edit PDF text on Mac as easily as on a Word document, you need a powerful PDF editor like PDFelement ProPDFelement Pro . It can help you to make changes to any contents (texts, graphics, images, etc.) You can edit, add or delete PDF text and adjust font. 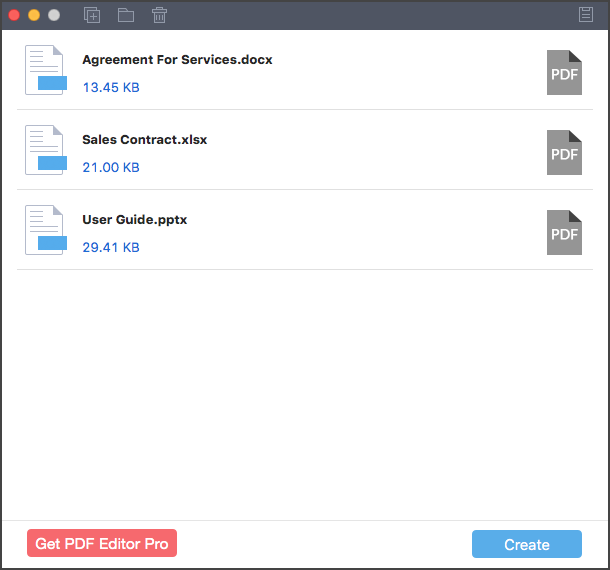 It is regarded as a professional and easy-to-use tool for users to edit PDF on Mac (Including macOS 10.14). After installing the PDF Edit Mac program on your Mac, switch on the program from your "Applications" folder, and then add the PDF files that you want to edit by clicking on "Open File". 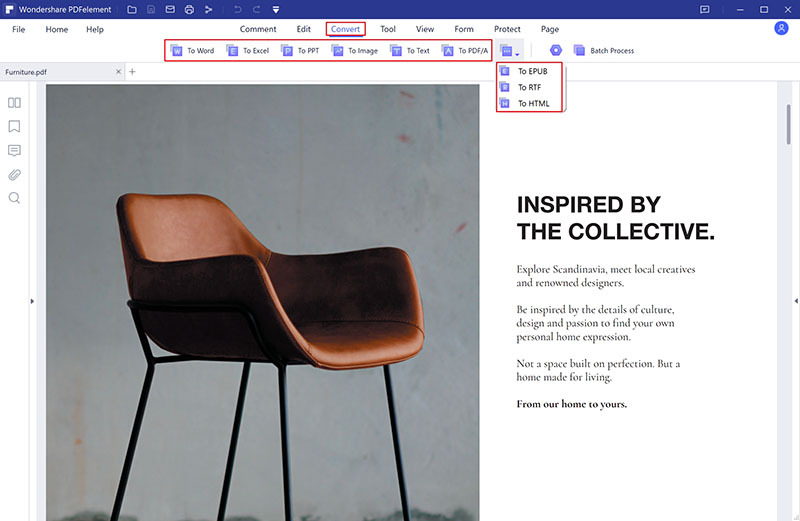 Edit PDF text: On the top toolbar, click the "Edit" button and then click over any text on the PDF page to start editing. There are 2 mode available for you to edit text in PDF files: "Paragraph Mode" and "Line Mode". You're able to directly delete words or add words and sentences to the existing content in the PDF files as you want. Add Textbox to PDF: In order to enrich content of the PDF, you may need to add textbox to PDF. To do so, you can click on the "Add Text" button under the "Edit" tap. Then you can move the cursor to place the textbox as your own needs. Mark up text in PDF: With the help of "Comment" tools on the top tool bar, you can easily markup your PDF texts and draw lines, or you can add Sticky Note and Text Box. Edit PDF Pages: Navigate to the right side menu, you can see there are several options for editing PDF pages, such as delete pages from PDF, extract pages, add pages to PDF, crop pages, rotate pages, etc. Edit PDF Images: If you want to edit PDF images, just click the "Edit" button, and then you can crop, replace, extract or insert images to PDF easily. Edit PDF Form: With this PDF edit tool, you can also fill out PDF form on Mac with ease. To edit PDF form, you can click on the "Form" button to start edit PDF forms with mutliple PDF editing tools. Create PDF Form: Except for editing PDF forms, you can also use this tool to create PDF forms on Mac according to your own needs. To simpfy your work, you can also download the PDF templates directly. Note: Aside from above editing functions, even you can make more editing for your PDF file on Mac, such as add image to PDF, add hyperlink to PDF, change your PDF text or PDF background color, convert PDF to Word, Excel and other formats, and so on. When all the editing is done, go to "File" > "Save" to save changes to your PDF file. By the way, you can get all solutions about editing PDF files here. PDFelement Pro is a multi-functional PDF editor. This PDF editor provides you multiple PDF editing tools and easiest way to edit and manage your PDF documents. Free download and try to explore more features you needed. Easily edit texts, images, links, pages, background and more on PDF. Robust your PDF editing and allow text autofit to maintain document style. Add annotation, markup, highlight, underline or strikethrough to PDF. Convert PDF to Word, Excel, PPT, Images, EPUB, etc. Combine multiple PDF files into one PDF or split PDF. 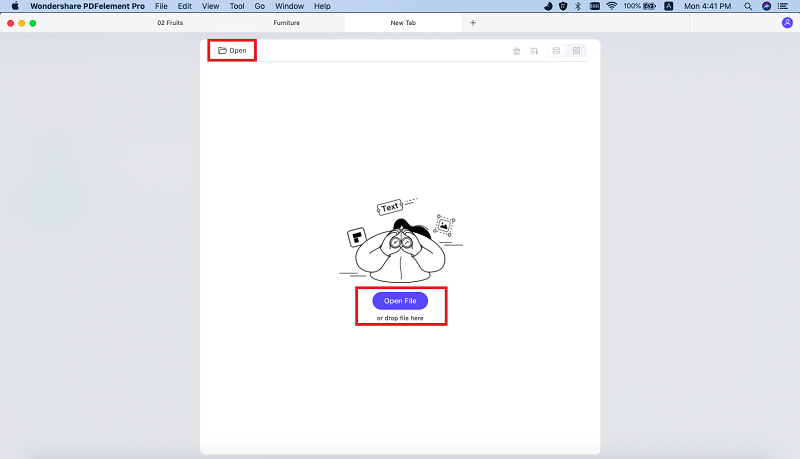 Fully control PDF pages by rotating, removing or add pages. Quickly add texts and fill out PDF forms and create PDF forms. Easily edit and convert scanned PDF with OCR function. Preview not only can manage and view images, but also allows you to view and edit PDF files on Mac. 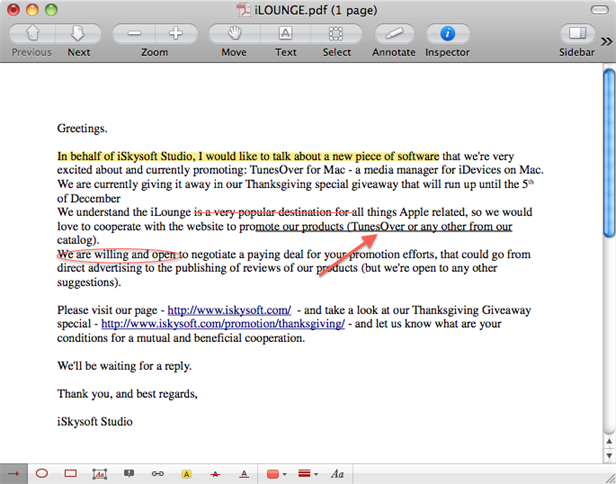 With Preview, you can add notes, highlight or copy texts in a PDF file. However, Preview does not allows you to delete original texts in PDF and you can not change the rectangle color for adding texts. Below is the process on how to edit PDF with Preview. Step 1. Drag and drop your PDF file to the Preview program dock, and you're the PDF file will be open with Preview. Step 2. Copy text from PDF in Preview. Navigate to the upper toolbar, and click the Text. And you can click on PDF and move your cursor to select the texts you want. Then control-click to select the Copy option or press Command + C to copy the texts. Step 3. Annotate and markup PDF in Preview. Click Annotate on top of the toolbar. Then you will get a series of annotation tools and markup tools appear at the bottom of the PDF page. Now you can highlight, underline or add strikethrough to texts in PDF. Or you can choose Rectangle, Oval, Text or Arrow to annotate PDF. Step 4. Fill out PDF form in Preview. When you open a PDF form with Preview, you can click the Text button and click the field to input the information to PDF directly. Note that some PDF files may only be printable but not editable in Preview. You might want to know how to edit PDF on Windows PC computer (Windows 10, Windows 8, Windows 7 and Windows Vista & XP), there is an effective one called PDFelement ProPDFelement Pro which comes readily to mind. It's a multi-functional editor tool for Windows and it is compatible with PDF files. 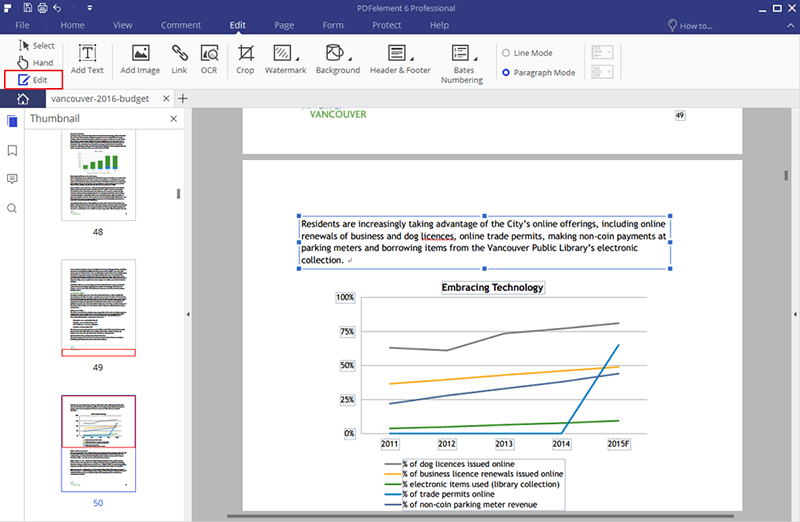 With this tool, you can edit PDF text, graphics and images just as easy as if you were using MS Word. This PDF Editor can make annotations on important content points so that you are able to find them easily in the future. The editing tools include text boxes, highlight, strikethrough, underline, sticky note, clouds and more. There are also functions available for you to add protection to your PDF documents and prevent others from editing, copying and printing. Launch the program, then you can click the "Open" button on the main interface to import the PDF file you want to edit. Once you open the program and click on the Edit button, you can edit the text by adding or deleting words in the PDF document. You could also customize the font styles, font size and font color. In addition to editing the PDF files, even you can insert sentences, graphics and pictures. The PDF editing tool also has functions to convert PDF documents to Microsoft Word, Excel and more. If you have to do more than edit PDF documents, you are able to convert your files in with just a few clicks. After clicking on the "Convert" button, you should choose the file type from the popup window. Name the file, select a destination folder and then save. A status bar should show up. 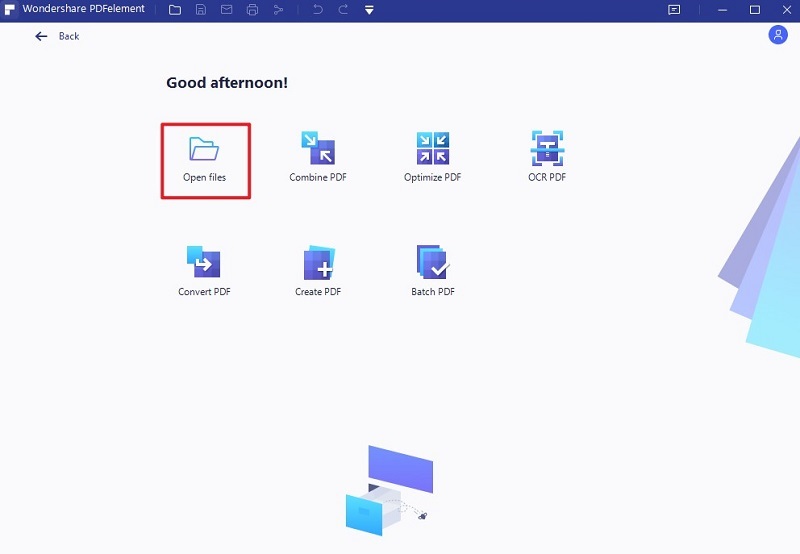 Once the converting process ends, the folder with the new file will open up automatically and give you immediate access. Hopefully, these simple tips are enough to help you edit, create and convert PDF files with ease. Make use of the PDFelement Pro if you want to know more about how to edit PDF on Windows. Wondering how to convert Word documents to PDF? Look no further! iSkysoft PDF Creator for Mac (or iSkysoft PDF Creator for Windows) can help you to create high-quality PDF from Word and other Microsoft Office formats. With it, you can do more. Easily convert Word, Excel, and PowerPoint to PDF. Quickly create batch PDF files from multiple MS Office files. Effectively convert to PDF with 100% original formatting and layout.